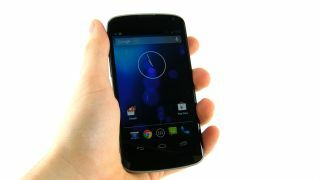 Are there only 400,000 Nexus 4 handsets around? If you're struggling to get hold of a Google Nexus 4 this might be the reason – there are only around 400,000 of the devices at the moment. According to a group of Android enthusiasts and lucky Nexus 4 owners very few handsets were made available in 2012 – leading to a frenzied rush when it went on sale. The group calculated its figure by using the IMEI number on Nexus 4 handsets and an LG mobile site to roughly work out how many handsets were in circulation. The world went a bit crazy for the Nexus 4 when it went on sale in November, with the first batch selling out in less than half an hour. A second load of stock in December took a little longer to shift, but 24 hours later and yep, you've guessed it, it was sold out AGAIN – and the Nexus 4 still remains unavailable on Google's site for now. While this calculation would explain why the Nexus 4 is so darn tricky to get hold of, we can't be sure it's accurate and neither Google nor LG are willing to release any solid sales figures.